KFC announced Monday it would pursue legal action against three Chinese companies whose social media accounts allegedly spread rumors about the fast food giant's poultry stock -- specifically, that KFC genetically modifies its chickens to have eight legs and six wings. Because somehow that would be cheaper than just breeding more chickens? This isn't the first time rumors have swirled about KFC's supposed use of mutated, multi-limbed fowl, though: several hoax photos circulated through the news last year, along with a fake study by the University of New Hampshire, all of which were ultimately debunked by everyone with half a brain. 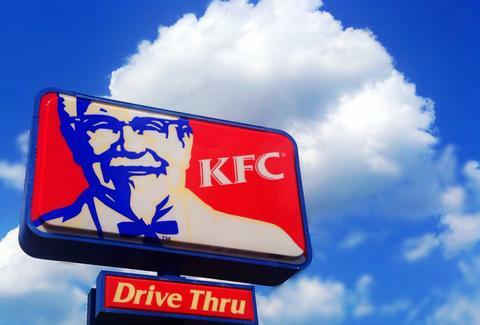 The three companies in question -- Shanxi Weilukuang Technology, Taiyuan Zero Point Technology and Yingchenanzhi Success and Culture Communication -- are being sued for $242,000 each, and KFC is also demanding they publicly apologize for their baseless octo-chicken claims. Meanwhile, John Madden continues to go unpunished for his Thanksgiving Frankenturkey creations, proving that not only is justice blind, it's also delicious.